Race Point Light is a historic lighthouse on Cape Cod, Massachusetts. Race Point’s name comes from the strong cross current, known as a “race,” that made navigation around the terminus of Cape Cod a nightmare for mariners. Race Point Light is a historic lighthouse on Cape Cod, Massachusetts. Race Point’s name comes from the strong cross current, known as a “race,” that made navigation around the terminus of Cape Cod a nightmare for mariners. Before the construction of the Cape Cod Canal in 1914, every vessel traveling along the coast between Boston and points south had to negotiate the treacherous bars near here. As early as 1808, the merchants and mariners of Provincetown asked for a lighthouse at Race Point. 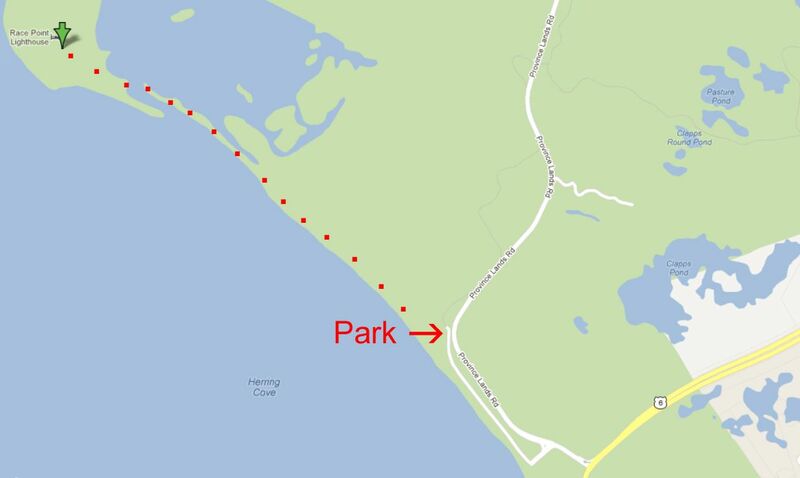 There are several way to reach Race Point Lighthouse, the easiest way is to park at Race Point Beach and walk 1.5 miles along the beach. The hike takes about 45 minutes and requires wading through knee deep water just before the lighthouse due to a inlet. Free tide reports can be found under the "Maps and Resources" tab located in the black bar at the top of the screen. Select the green “View Map” tab to view this location on Google maps. Enter your starting point for detailed driving directions. Download a free copy of the Four Factors of Filter Highlight Photography in PDF format by selecting the “ebook download” tab above. This 37 page guide covers how to take a single image and apply minor manipulations that will help you produce consistent reproducible results. You will also learn the processes of camera set-up, image editing, and advance scouting techniques used by professional photographer Christian James. Free park maps, tide tables reports, ebooks and additional information can be found under the Maps and Resource tab located in the black bar at the top of the screen. The best time to photograph this locations is sunrise. Nikon D3x 14-24mm Lens @ 14mm f16@ 1/8 second ISO 50 Exposure Value -1.0 with a 3 Stop (0.9) Soft-Step Spilt ND Filter. 2/21/12 6:48 a.m.